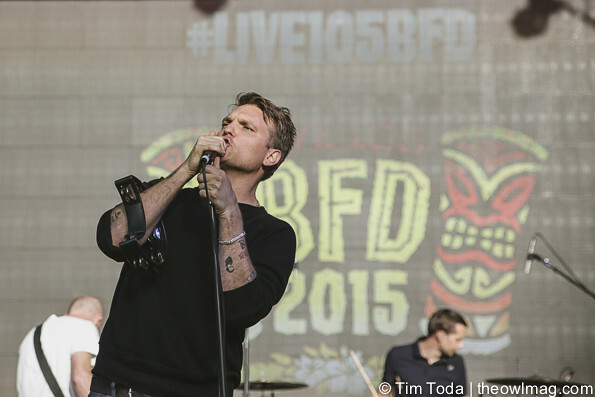 There is no question, Live 105’s BFD Music Festival is the best way to kick off the summer. From undercards to headliners, the lineup this year was quite stacked. And despite the blazing summer heat, no one really cared. The breeze from San Francisco seemed to drift through throughout the day, which definitely helped with the conditions. Kicking off the day, In The Valley Below smoothed the crowd into the mood for the long day ahead of them. With their mellow, but punchy beginning they were able to transition into the 2nd band pretty well; WATERS came onto the stage with quite the energy. 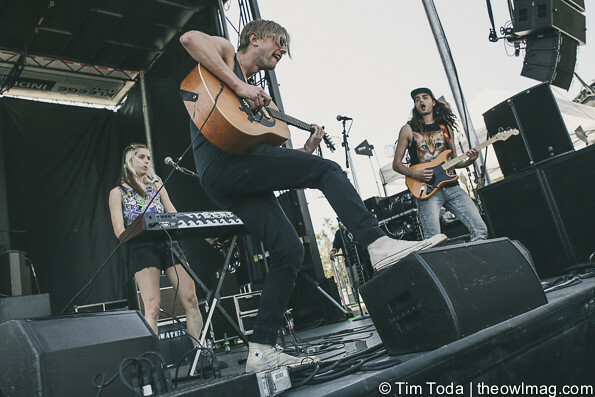 Coming off from their latest tour with Matt & Kim, they had a solid reason to be happy. 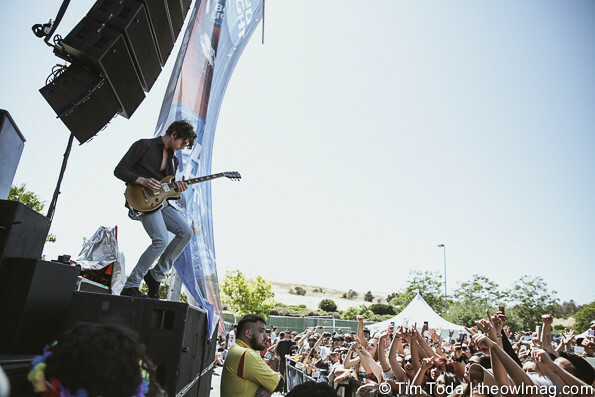 Based in San Francisco, the band grew up going to Live 105 BFD, even starting on the Local Bands stage at the festival years ago. I had the pleasure of getting some 1-on-1 time photographing them after their show. 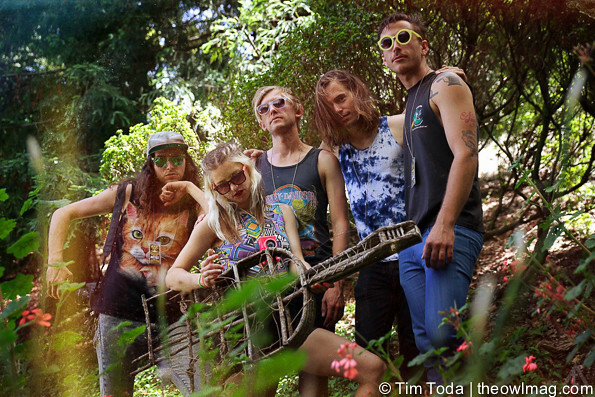 Look out for them on their upcoming tour with MisterWives — who funnily shared the same stage later in the day. Meg Myers kept the same energy alive after WATERS. 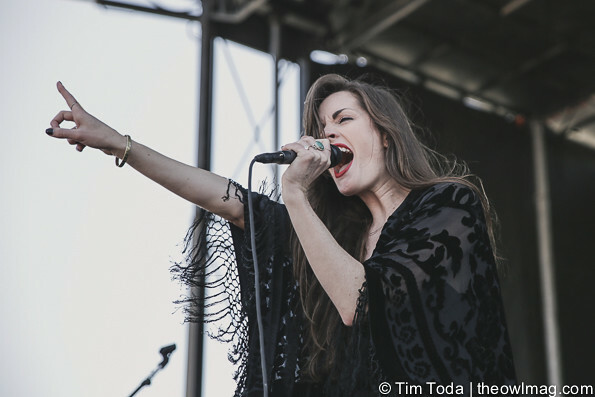 Her unique and original music created a stir in the crowd, finishing hard with a passionate and rigorous scream. 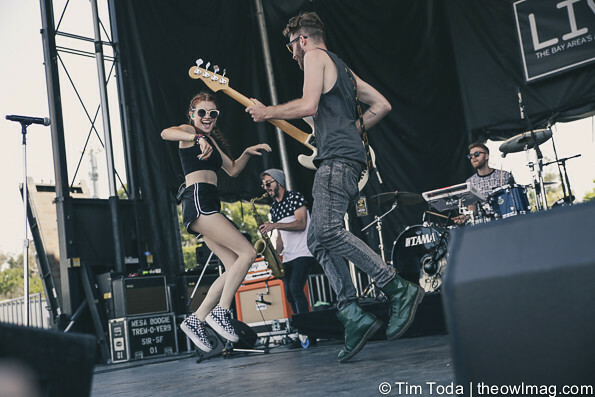 Followed by MisterWives, they turned on the dance party as lead singer Mandy Lee, full of charisma, kept the audience on their toes. 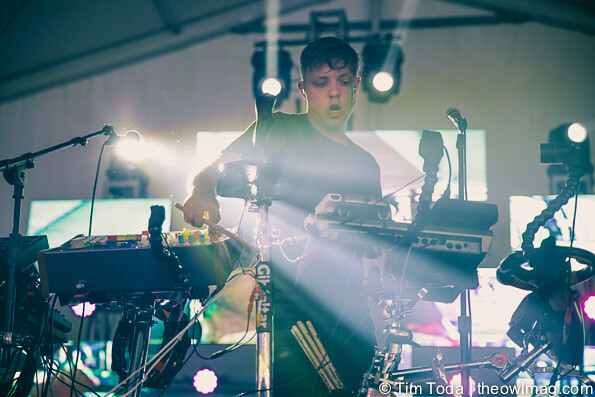 Cathedrals and Sheppard slowed down the pace with bass heavy beats flowing in and out of the stages. 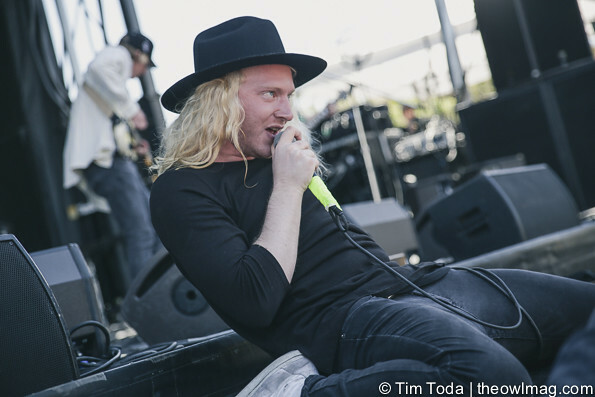 There was no contestant to The Orwells and The Kooks. These punk rock bands created a space to get fans to go crazy. Most of the crowd seemed to be waiting for Twenty One Pilots, as they were the band to finish the Festival stage. 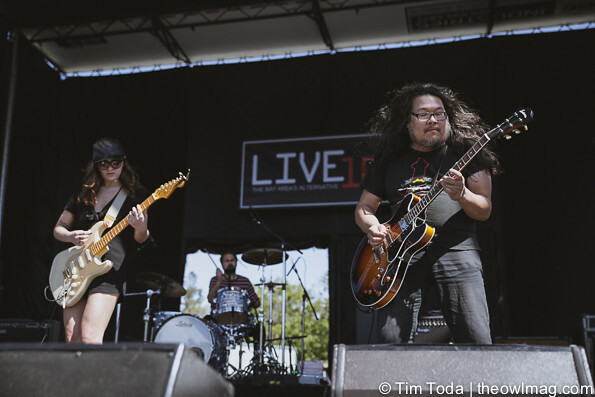 However, Best Coast and Death From Above 1979 were perfect follows ups to the heavy rock’n roll performers. 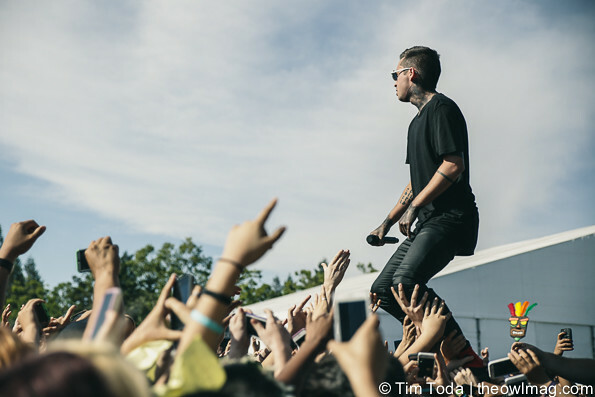 Twenty One Pilots stole the stage with their stage presence from the get-go. Their stage setup, revolving around their sophomore album Blurryface, has a microphone hanging from a steel platform. There was no doubt most of the crowd throughout the day were waiting for this day to come. Most understandably, fans of Twenty One Pilots poured in just in time for Brendon Urie’s exuberant performance. 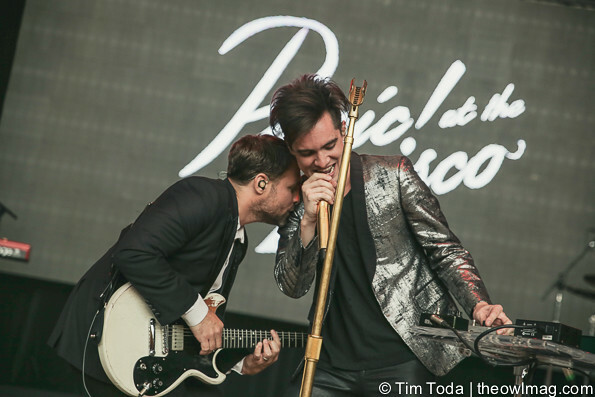 While not everyone may have heard of their songs, there was one exception in their setlist: “Bohemian Rhapsody,” where Brendon’s impressive voice shined best. His vocal range is off the charts. 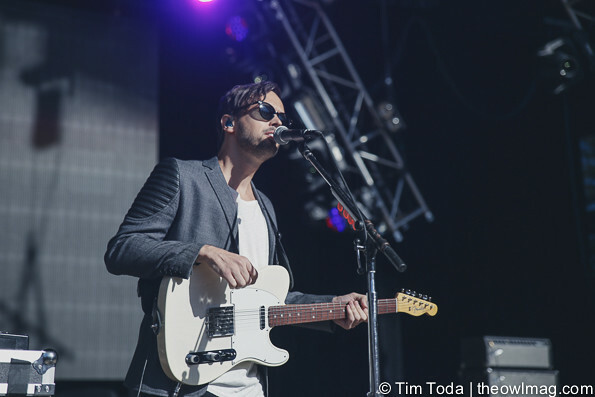 Main stage performers took to the ground before Twenty One Pilots finished, but that certainly didn’t stir the crowd away from Atlas Genius. 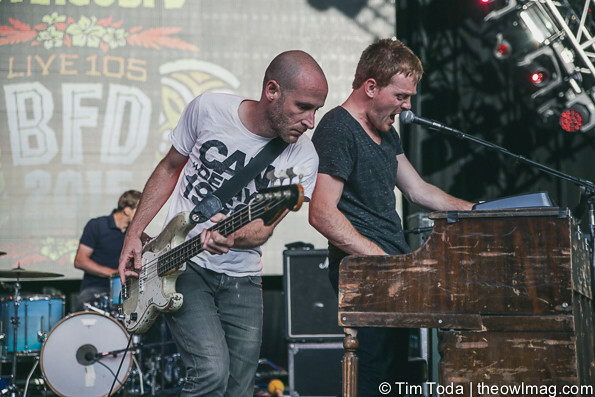 Cold War Kids also grabbed attention from the crowd, playing some of their classics such as “Hang Me Up to Dry.” By the time Panic! At the Disco took the stage, Shoreline Amphitheatre had filled up. 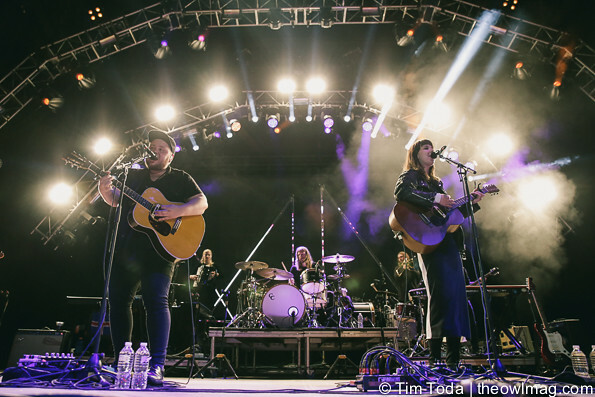 Of Monsters and Men was one of the highlights of the night, touring behind their sophomore album Beneath the Skin. 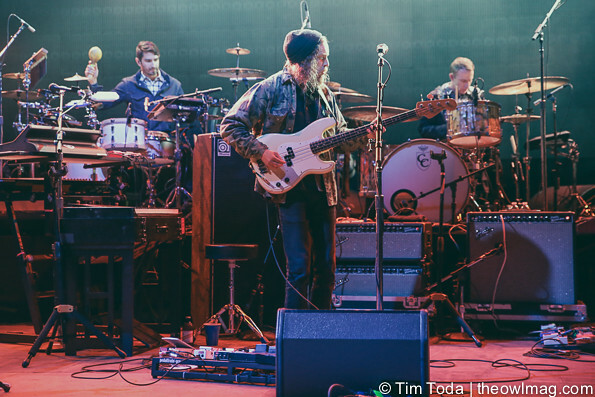 Providing a kind balance between their radio hit songs “Mountain Sound” and “King and the Lionheart,” the familiarity of these tunes helped set the mood to transition to unknown songs that audiences may not have been familiar with. 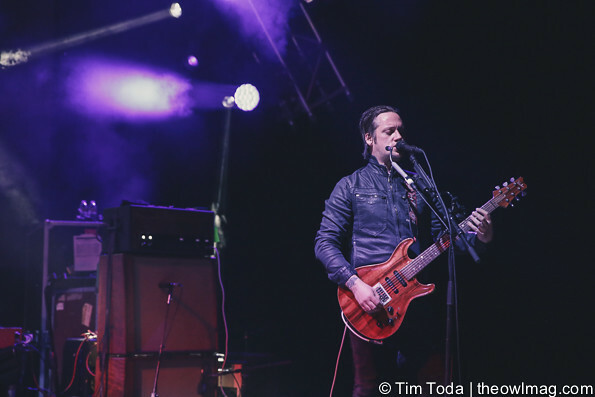 Main stage headliner Modest Mouse finished off the night with a bang. 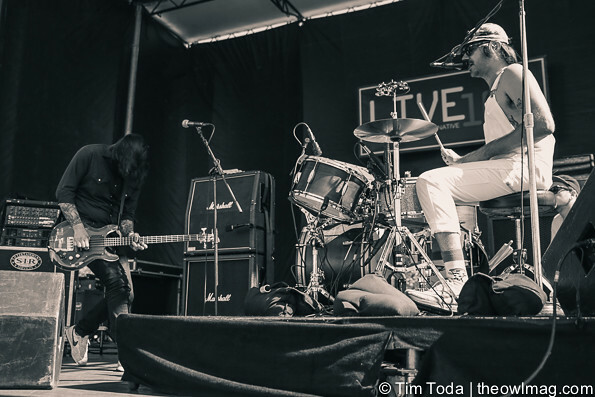 With a nine-piece band behind lead singer Isaac Brock, the band proved their position in the lineup, creating excitement in each song. Check out the full set of photos.